Has it really been over three months since I last posted? Based on the date it has to be true. At my last job, when the ladies said that they wouldn't touch a computer after they got home from work I thought it was ridiculous. My life and entertainment centered around the internet and computers. But after this first quarter, I totally understand. Admittedly, I have not been very quick in my sewing this year either. 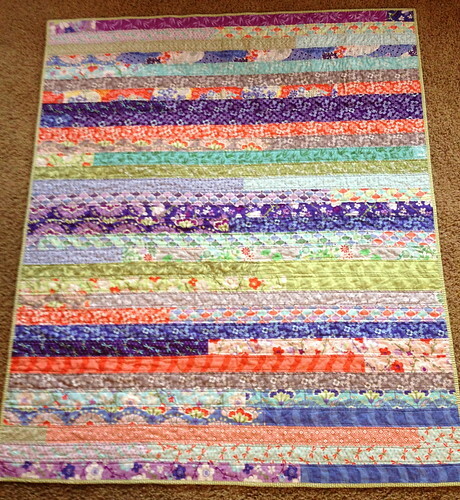 I have been working on a english paper pieced (hand sewing!) 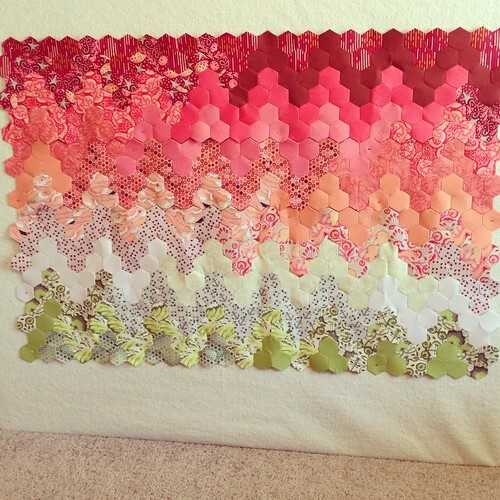 hexagon quilt. And here is half of it, that is 500 hexagons that are 1 inch each. I can't even begin to add up how much time I have spent between attaching the fabric to papers, then sewing the hexagons together into strips and then rows. 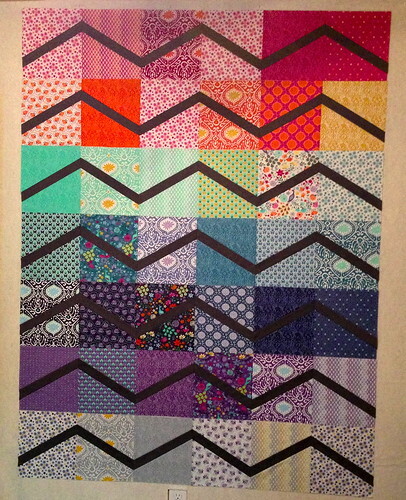 This is what the whole quilt will look like when finished, and I am excited to get there. 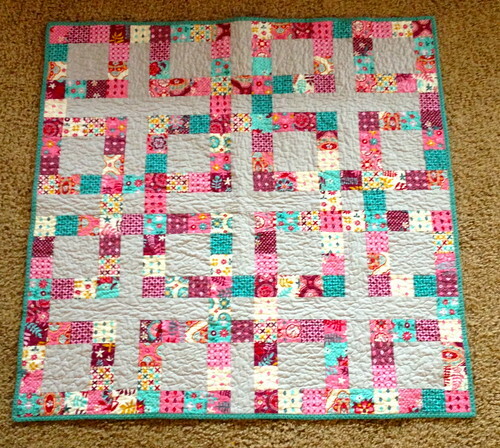 I have finished two quilts this year and pieced a third. But production is way down in the sweat shop that Derek calls my sewing room.